Kilmour Investments is a family business established in 1955 to support the formation of its investment in Associated Kiln Driers (AKD Softwoods) in Colac, but has its origins in the Timber and Hardware business formed by William John (WJ) Inglis and his wife Emily Edith Inglis in Preston, 1906. Today, Kilmour Investments aims to protect and enhance its assets to provide wealth generation for current and future generations of shareholders. 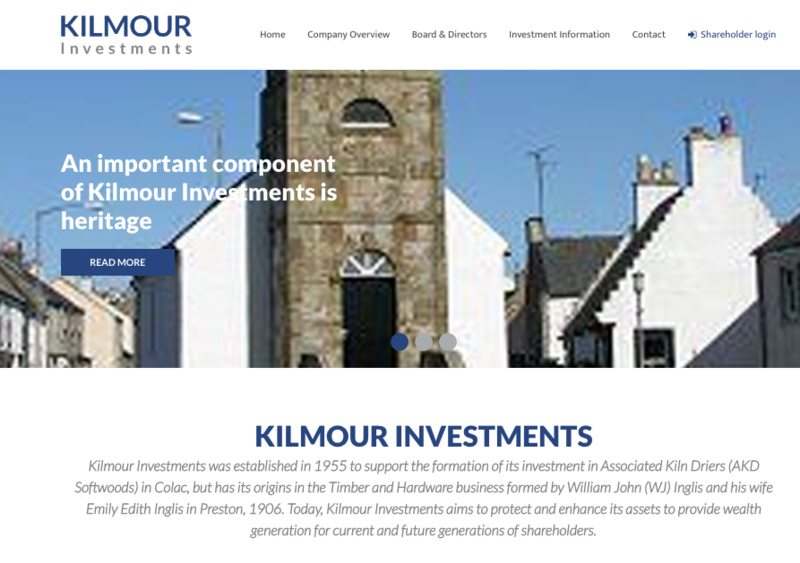 In response to shareholder feedback for greater engagement and information, the Board of Kilmour Investments Pty Ltd wanted to setup a relatively simple online space for secure and ready access to key information relating to the business (eg. annual reports etc) and to provide a location for the posting of family information/photos etc. We designed a website that provides information for shareholders about the family and company history with a secure login area where shareholders can access important information. We designed a simple logo for the site and a custom site incorporating a family tree and company timeline. Once the website was finished, we provided training to key team members so that they were confident to make content changes to the website as required. 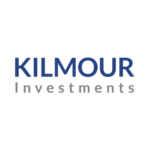 We provide ongoing maintenance and support to Kilmour Investments.